Sometimes we have to make time for ourself just to relax and escape from city's crowd for a while. Not just for pampering ourself, but to relieve stress as well. Therefore, I feel so lucky to be invited by one of the most popular amusement park in East Java which is Jawa Timur Park - to have my kind of weekend gateaway and experience their newest attraction named The Legend Star. This attraction is located inside Jatim Park 3 and I heard that it just opened for public few weeks ago so everything is new there. I have watched the trailer video before I come to the park though - and The Legend Star reminds me of Madame Tussauds since there are lot of wax figures there. 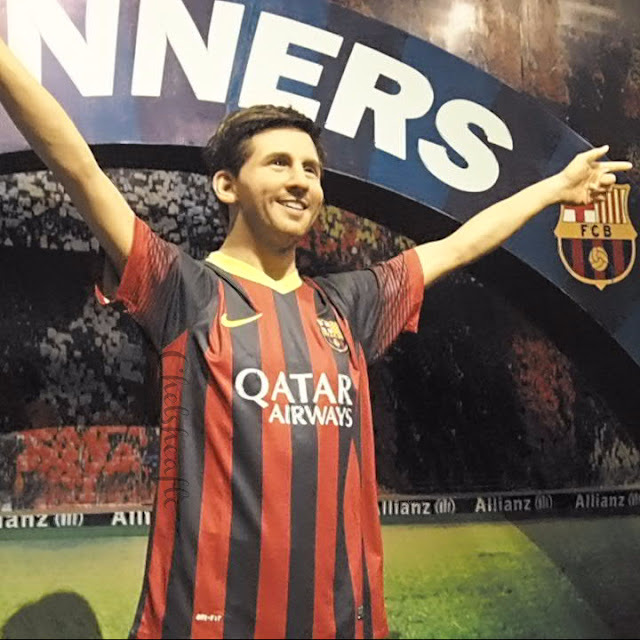 But, is it really just wax figures inside The Legend Star ? 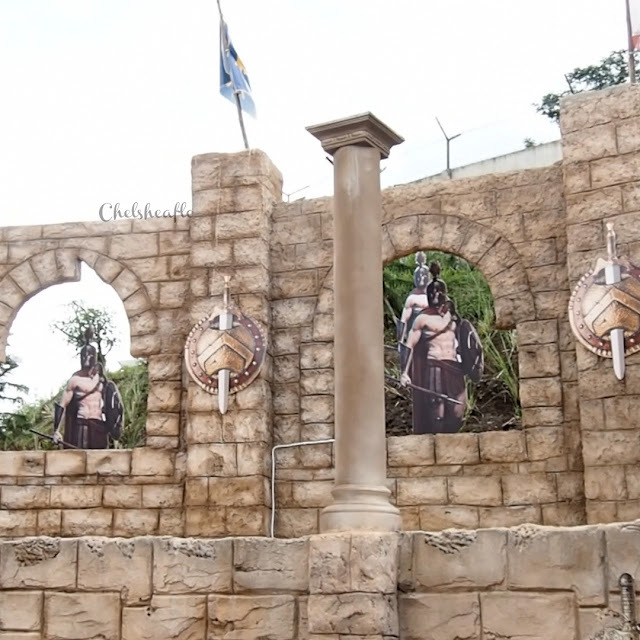 Well, keep reading to find out more about this attraction ! I went there with my family on the weekend and since we're just too excited, we came too early ( around 10 a.m ) while The Legend Star hasn't opened yet. 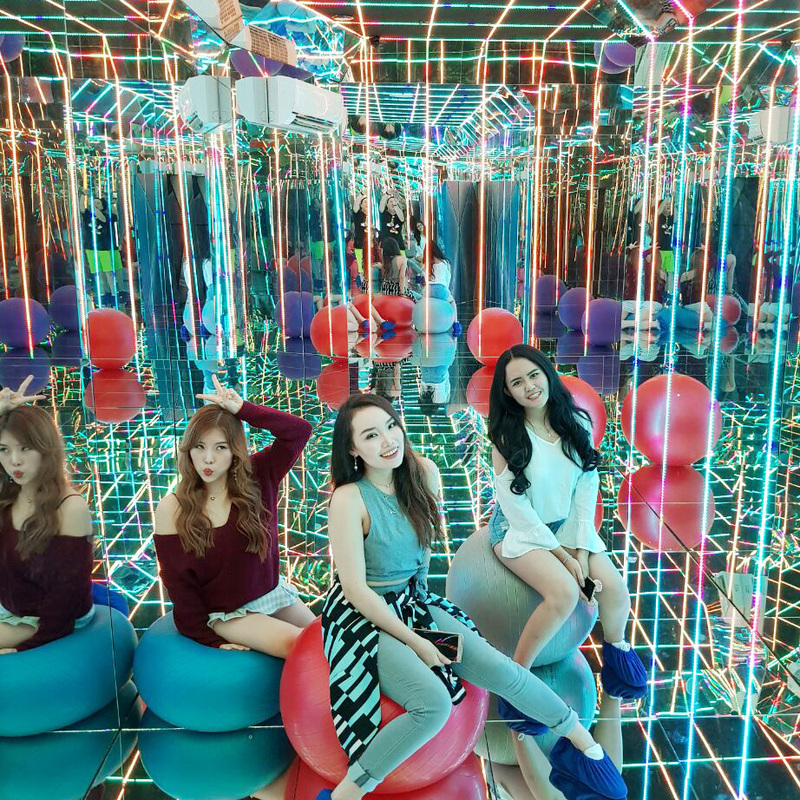 So while waiting for the park to open at 1 p.m, we had a great kill time by visiting another attraction such as Circus Magic and Infinite World. Both are so thrilling though. 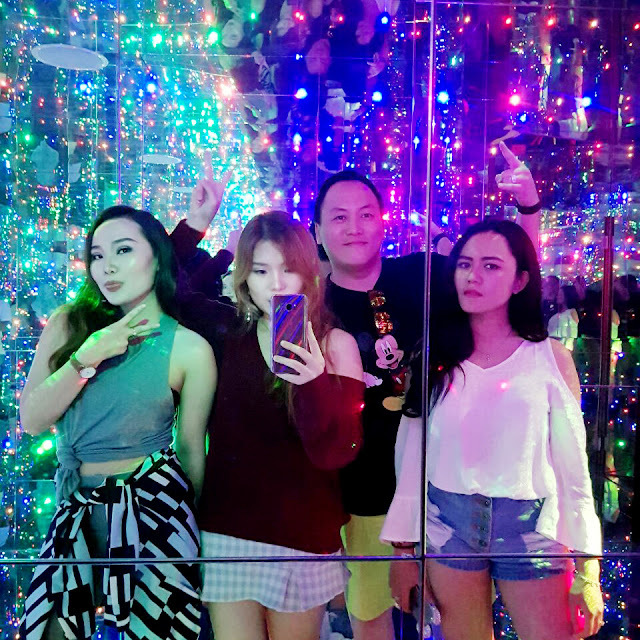 With only IDR 20.000 / $1.50 for the Circus Magic and IDR 30.000 / $2.30 for the Infinite World, waiting for 2 hours plus doesn't really matter for us and they are really worth to try, especially Infinite World ! Okay, now back to The Legend Star. We just found out that we could get in before 1 p.m which is a privilege to us. From the entrance, we could see the replica of Istana Bogor / Bogor Palace and the vibe around building seemed so real, even there were real deers at the yard. Although I never been to Istana Bogor before, I can tell that this place was so beautiful and clean. 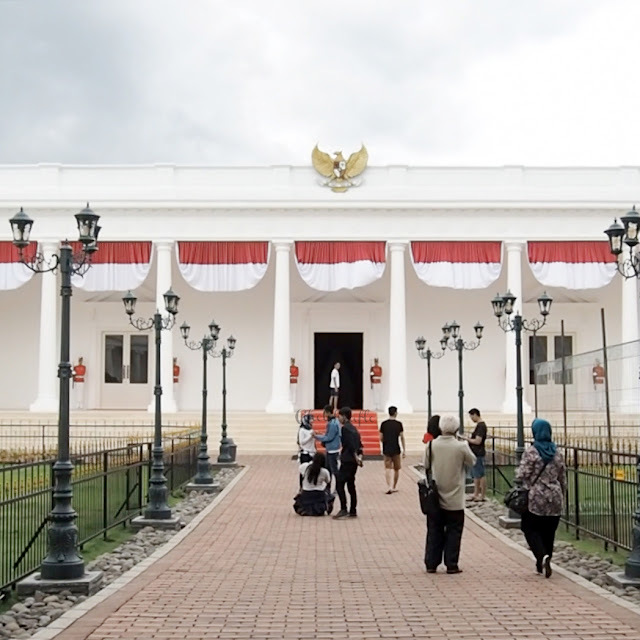 However, do not expect that the interior and what's inside it will look exactly same with Istana Bogor. There, we didn't only meet national wax figures like Indonesian president, Mr. Joko Widodo, Mr. Gusdur, etc - but we could also meet international figures such as Pablo Picasso, Mother Theresa, Mahatma Gandhi, Prince William and Duchess of Cambridge, Kate Middleton, and many more. Before exiting Istana Bogor, at the connector to the way out we could see some wax figures of Indonesian heroes and popular Chinese stars such as Jackie Chan, Andy Lau, Donnie Yen, even The Monkey King ! Our next stop is the replica of the famous White House. This replica is smaller than Istana Bogor, but this place looks so luxury. 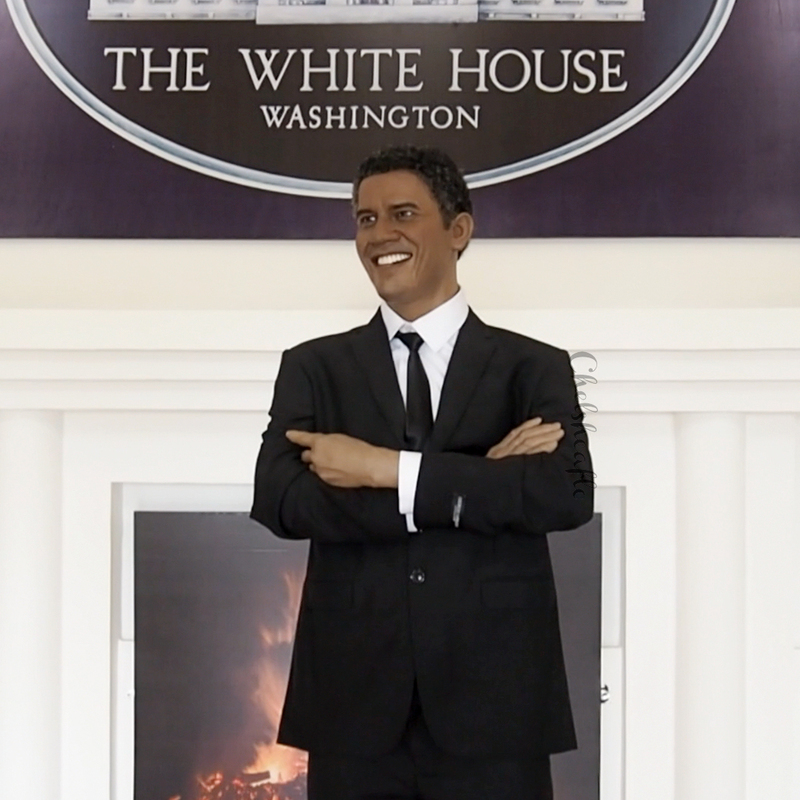 There, we could meet Barack Obama whose placed at the main entrance. On the right side, we could see a neat living room dominant with maroon color, then if we go inside, there's Abraham Lincoln who's standing at the center of the room. While on the left side, we could meet American president Donald Trump, who seemed busy doing his duty. Such a shame I couldn't manage to take picture of his room. Welcome to my favorite area ! Just by seeing from the entrance gate, I am pretty sure you will fall in love at the first sight. This area is located on the right side, right after you're exiting the Hollywood's building. Bringing the traditional vibe of Japan, The Legend Star successfully made me fall in love with this area so much. Although there were no wax figures at this area, we could enjoy the nature view of Japan while wearing yukata. Yes, we could rent yukata for IDR 50.000 / $3.75 per 20 minutes, not just the yukata though, but also for head to toe; yukata, head accessories, and a pair of geta. My sisters and I wont miss it though, so we picked our own favorite yukata, pretend to be Japanese ladies, and took so many photos ( well, with this blonde hair, it's kinda funny though, seems like everyone's staring at me, lol ! ). Anyway, for you who doesn't want to wear yukata, you can also take some rest at this area because there are some food stalls which sells Japanese street snacks such as takoyaki, yakitori, okonomiyaki, tempura, and of course for reasonable prices. If you decided to turn left after finishing Hollywood area, then you will find mini Colosseum right after that, continued with Taj Mahal, Majapahit, and Amsterdam. For me personally, there's nothing special in these areas because I think they're still under construction. Oh, I also saw Korean traditional house but too bad it's still under construction too. Among all of these areas which still under construction, mini Amsterdam was the best. There's replica of Cheese Factory Volendam and Amsterdam Airport Schiphol but yeah, they're still under construction too. However, there we could take many outdoor photos since the view was so pretty and colorful. This is our last stop at The Legend Star. 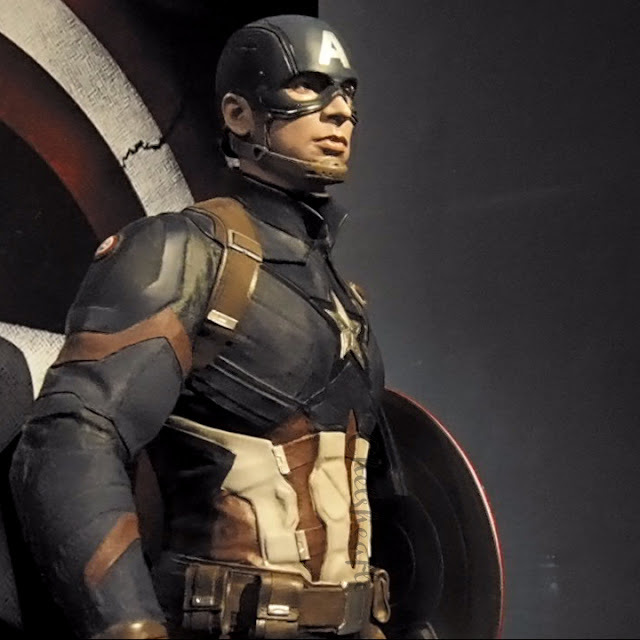 For you guys who's really into superhero things, you'll probably glad to be there - because there were lot of Marvel and DC's characters such as Wonder Woman, Batman, Superman, Thor, Captain America, and my favorite Wolverine obviously ! While in the Sport Stars area, there's one room special for basketball stars only. There's Michael Jordan figure with his basketball - and we could also see various basketball players' shirt hung on the right side of the room. In the next room, we could see some famous sport figures like Lionel Messi, David Beckham, Christian Ronaldo, and the real champion, Serena Williams! Oh, we could also pose with their properties though, so I won't miss the chance to take pose with my favorite Serena with her tennis racket, isn't it cool ? However, there's one thing we have to take note when we're there and it applied for all areas : we are not allowed to touch the wax figures. 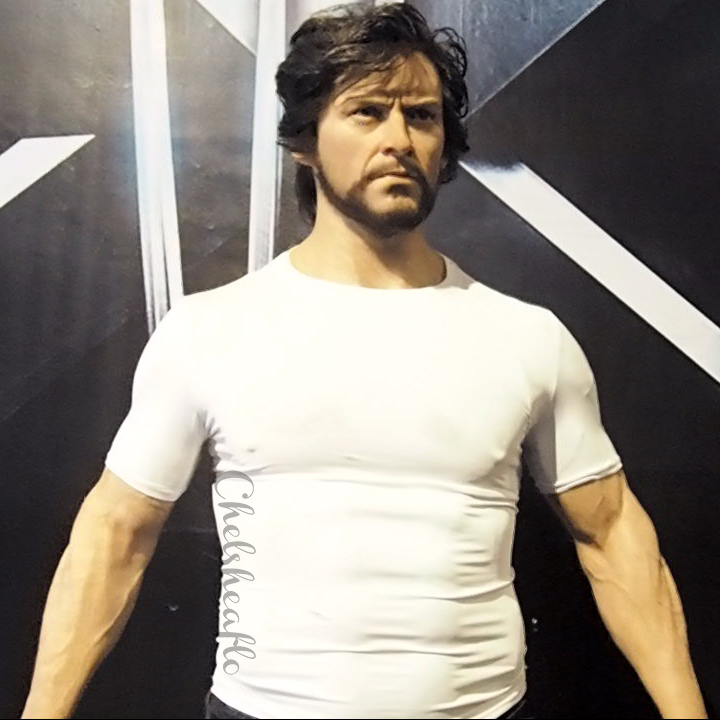 For me personally, it's a good way to take care of the wax figures. Finally, our journey exploring The Legend Star in Jatim Park 3 has to be over. Although there are some areas that haven't been finished yet, I had so much fun there with my family and I guess you will love it too ! It is definitely one of the best place to relax your mind on the weekend with your loved ones. Thank you once again to Jatim Park Group for having me and my family. I definitely will come back again to visit more areas; Korea, China, Cheese Factory, and I also wish many new areas to come ! Fyi, there are some other attractions inside Jatim Park 3 besides The Legend Star, Infinite World, and Circus Magic which are 6D Cinema, Sniper Zone, Virtual Arena, Jurassic Action, House of Zombie, Dino Park, and Galeri Musik Dunia / World Music Gallery. Quite many, right ? So, you should not miss the chance to have fun in Jatim Park 3 ! [Event Report] Mitos dan Fakta Seputar Kehamilan - Boleh Tidak Memakai Makeup dan Skincare saat hamil?